The diesel engine is an internal combustion engine in which ignition of the fuel which is injected into the combustion chamber is caused by the elevated temperature of the air in the cylinder due to mechanical compression. Diesel engines work by compressing only the air. This increases the air temperature inside the cylinder to such a high degree that atomised diesel fuel that is injected into the combustion chamber ignites spontaneously. It is widely known that diesel engines can suffer damage as a result of misapplication or misuse, and that over time, a gummy, sticky residue of baked-on oil varnish builds up on the injectors. Hot Shot’s Secret calls that residue stiction. 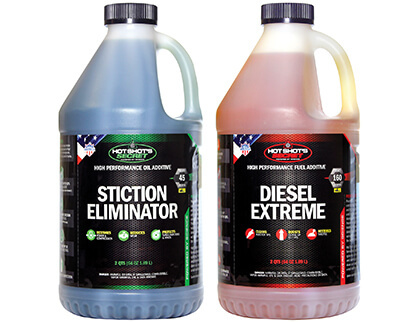 Hot Shot’s Secret flagship product, Stiction Eliminator, was first developed for International Truck and Engine to resolve an issue with the injectors on the Ford Powerstroke 6.0L engine. Having been tested since 2004, Stiction Eliminator has been found to be successful in restoring 90% of injectors and turbos diagnosed as “failed”. 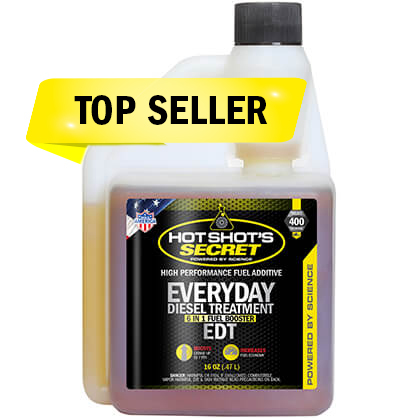 Hot Shot’s Secret oil, fuel and transmission products are designed to clean, protect and ensure that your diesel engine stays in top shape at all times. 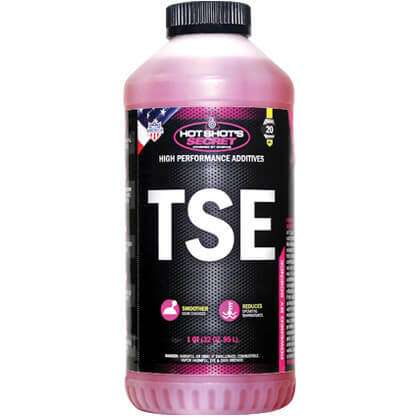 From oil and fuel systems, to hydraulic systems and transmissions, Hot Shot’s Secret has a formula that will improve your diesel engine’s efficiency and performance, regardless of usage, age or the weather. If you have a specific problem and unsure of what Hot Shot product or product combinations can help improve your equipment’s efficiency and performance, call our tech team to talk to an expert at 1-800-341-6516. We are available by phone 24 hours a day, seven days a week.